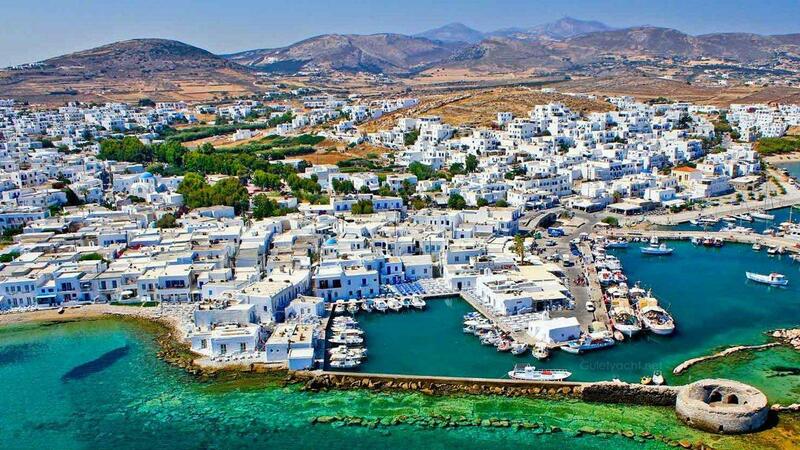 Yachts setting out from Mykonos accept guests mis-afternoon, serving dinner later in the day, but the boat does not set sail until the morning so there is time to enjoy the Town and Island. 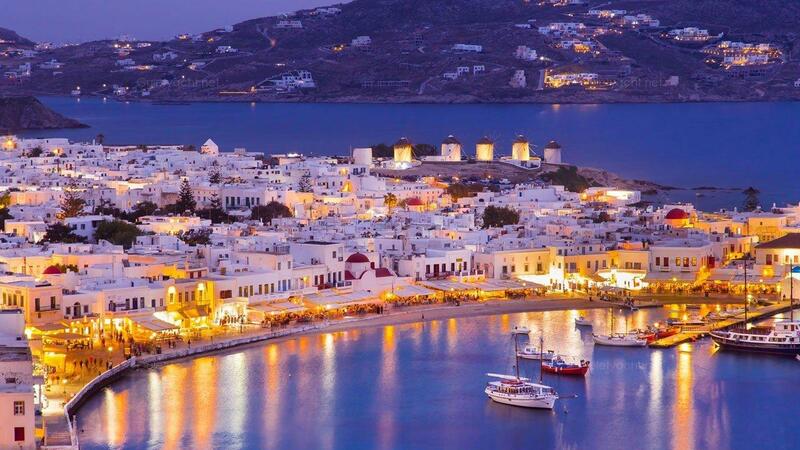 Mykonos is among the best-known places in Greece, famous for its cosmopolitan atmosphere, stunning architecture and of course its nightlife. 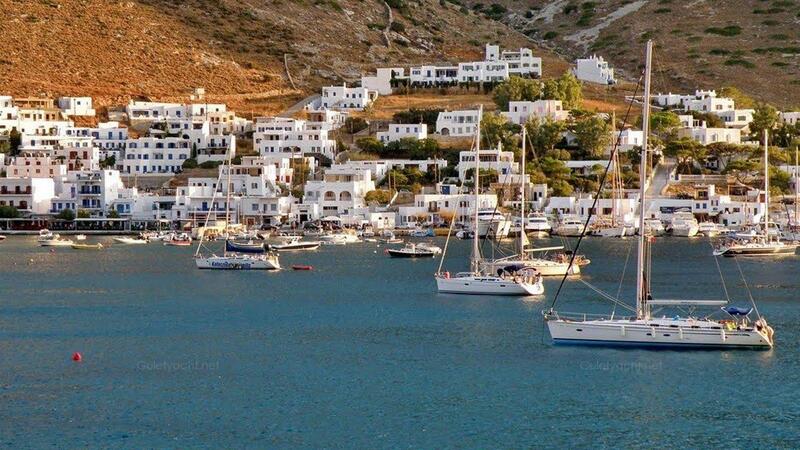 It is included in many popular yachting itineraries around the Cyclades Group of Islands. 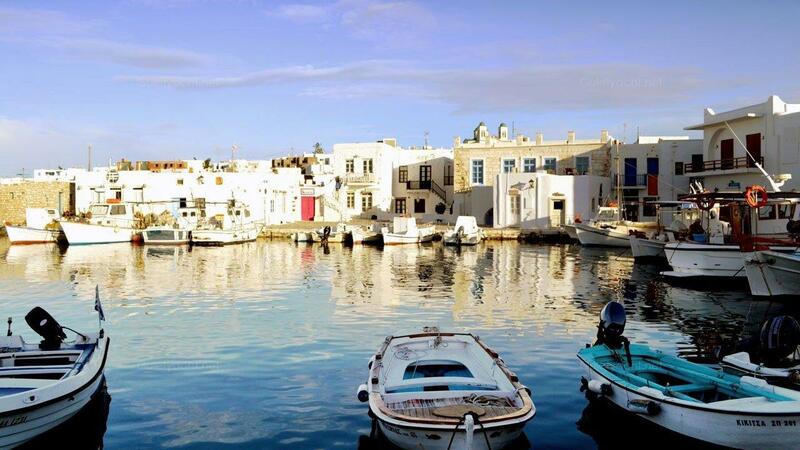 ‘’Little Venice’’, so called because of the Venetian architecture, and the beaches are popular places to spend your time on the island. 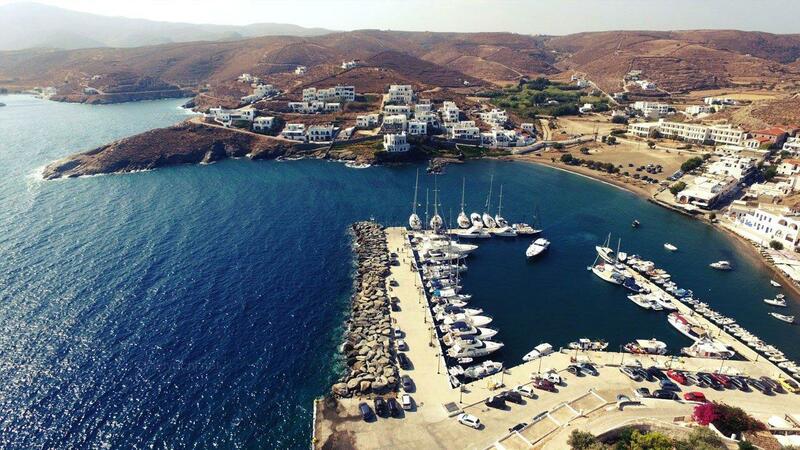 Nauosa is among the prettiest villages in the Cyclades Group of Islands. 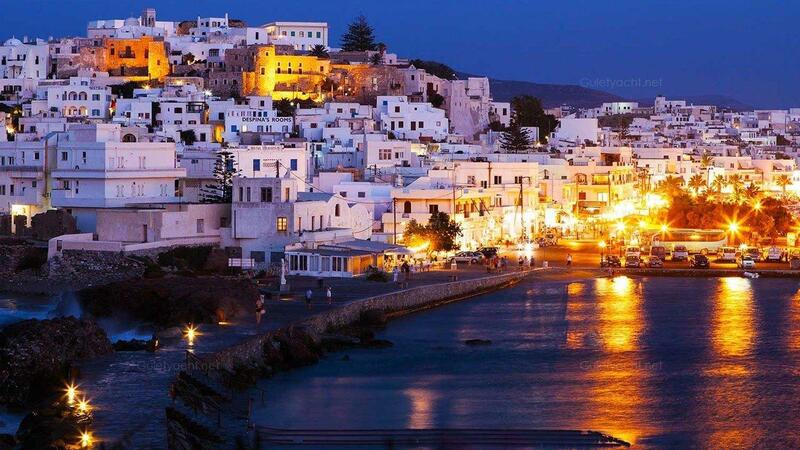 The village has lost none of its traditional charm even though it is now a popular tourist place. The white-washed houses and colourful gardens are a feature of Nauosa with small churches and chapels in the maze of streets. 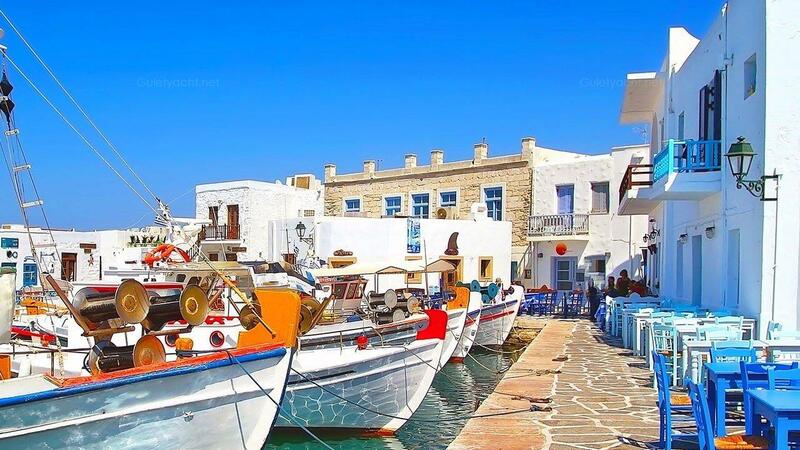 The port in the middle of the village fills of local fishing boats bringing in the day’s catch. The ruins of an old Venetian castle are the main landmark. 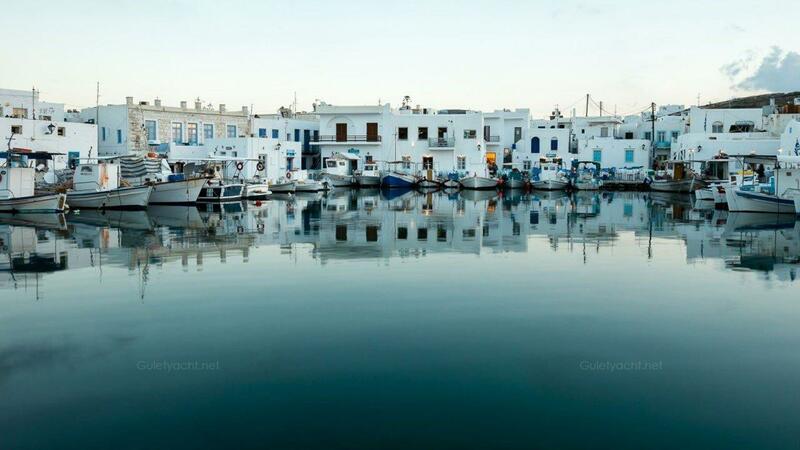 Loutra became famous because of its hot springs flowing into the sea. There is a stream of water on the outskirts of Loutra emptying into the sea at the beach. If you want a free cure, there is a tub built to hold the water as it goes towards the sea, mixing with sea water to achieve a temperature that you will be able to bear. 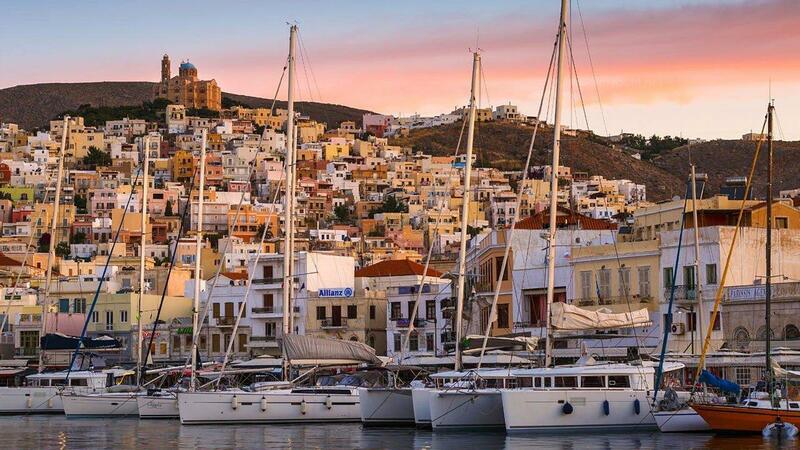 Finikas, in the South West of Syros, is a large village where the harbour offers lots of space for yachts and the town itself has a wide choice of tavernas. The beach near to the harbour is lovely and very popular with the locals at weekends and holiday times. 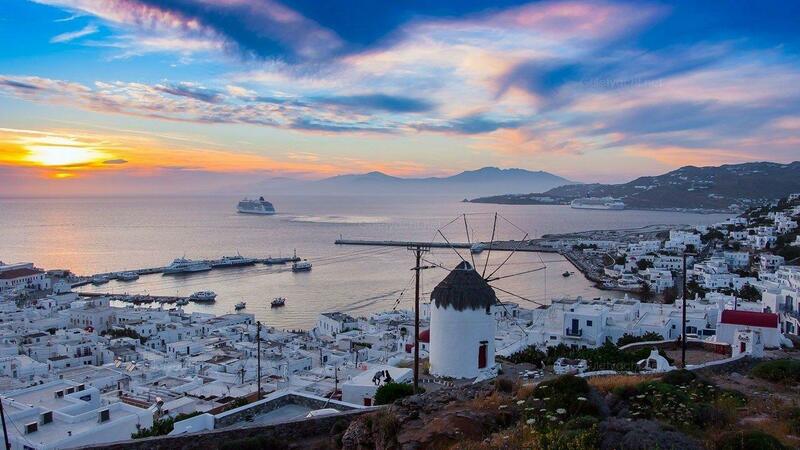 The guests will leave the yacht with precious memories of the tour by 10:30am after a hearty breakfast. 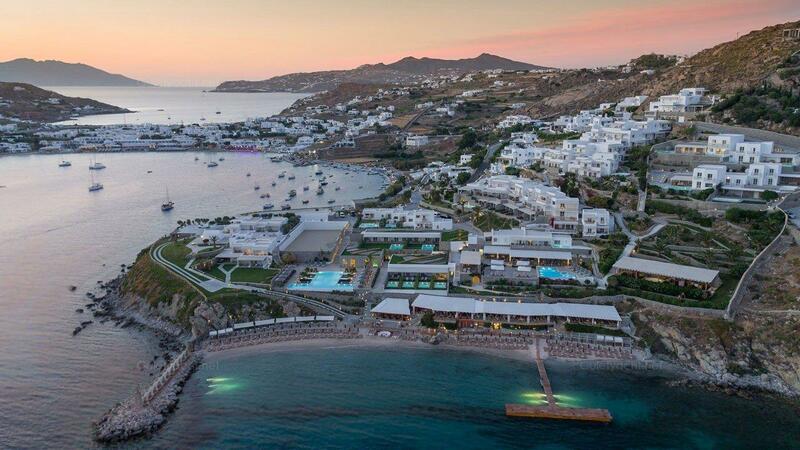 Mykonos offers something for everyone; restaurants, traditional tavernas, bars, clubs and beaches.